Imagine your first look at an all-inclusive Beaches Jamaica resort. The clear water glistens in the sun. The warm sand crunches and feels like velvet under your feet. Your ice cold rum drink sweats in your hand. And all of your stress melts away. This is the promise of a week at any one of the 3 Beaches all-inclusive Jamaica resorts. 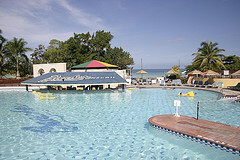 Beaches all inclusive resorts are found in three places in Jamaica. This gives you 3 reasons for you and your family to get "lost" in the warm sun and cool water of this one-of-a-kind Caribbean island. Each Beaches Jamaica vacation is at an all-inclusive family resort. Well, it means a lot... A lot of everything! You get all meals, drinks and snacks, with food from all over the world. Free daycare for the little ones, and kids camps for the older one. Enjoy scuba, snorkel, windsurfing and more. Relax with a top shelf drinks at any of the many bars. Even the tips are included! This Jamaican Beaches resort is in Ochos Rios on the north coast of Jamaica. You can tell that kids are treated as first-class guests from the second you show up at Beaches Jamaica Boscobel. From the time they wake up, their day is filled with magic. From face-painting to arts and crafts, this Beaches resort keeps them happy! The list of supervised things to do has something for kids of all ages. There is even a near endless supply of video games at the XBOX 360 Game Garage after a day on the beach. Close your eyes... can you hear them laughing and giggling right now? But wait! It gets better! This Beaches Jamaica resort is the only all-inclusive on the island with... wait for it... golf for kids! And, best of all for mom and dad, U.S. certified and university trained supervision is always on hand. Imagine how it will feel to sit back, take a sip of a nice ice cold drink by the pool or the sea, and know that your kids are happy AND safe. Speaking of relaxing, there is plenty for us moms and dads to have fun with as well (other than the rum drinks at one of the swim up bars , that is...). There is scuba, snorkel and wind surfing for the more adventurous of us. Or you can play tennis or beach volley ball if you want to stay on land. Nestled on 7-Mile Beach in Negril, this resort is one of the best values in the Caribbean islands. Most of the 128 rooms have views of the sea to keep you in a laid back tropical state of mind. There are 4 restaurants to keep you well fed on your vacation. Picture yourself starting your day looking at the white sand and teal sea while tasting your favorite foods from island favorites to Italian to burgers and fries. There are the Ultra Nanny Service and Supervised Kids Programs for the small ones, and a quiet stretch of 7 miles of snow white beach sand for the big ones. If relaxing is your thing, take it from me, there are few spots in Jamaica better than 7-Mile Beach. Speaking of 7-Mile Beach, Beaches Jamaica gives you a reason to explore it further with their "Stay at One, Play at Two" program.Beaches Negril Resort & Spa is a short walk in the sand down the beach. Can you feel the smooth sand beneath your feet right now? I saved the best for last. 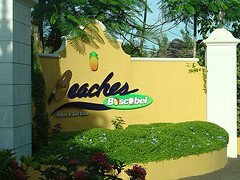 Beaches Negril Resort & Spa has the best from both of its sister resorts. Can you hear the laughing from the kids at the water park? Do you see the pure white sands of 7-mile beach? Can you feel the cooling breeze off of the clear Caribbean Sea? You are at Beaches Negril, one of the best Jamaica luxury resorts. When you think about all inclusive Negril, Jamaica, you imagine this slice of heaven on earth. There is something for every person here, no matter how big or how small. You can relax with a cold drink beneath a shady palm tree, or float down the lazy river. Or, if you want try windsurfing or kayaking. Tennis anyone? Yep. It's included too. Both table tennis and the real thing. When it is time to eat, you can taste food from all over the world at one of the 6 restaurants, including Japaneses, Georgian (country not state) and Southwestern food. Can't you just taste it? As for the kids... well, they get it all, too! The 18,000 square feet Pirate Island water park is amazing! You can feel the rush of sliding in the 200 feet of tunnels, or enjoy unlimited self-serve ice cream. There is also a soda bar and pool-side grill for snacks. The XBOX 360 Game Garage keeps the gamers happy. For the small kids, there is day care with certified nannies from 9am to 6pm each day. Imagine, a Jamaican resort where you do not have to choose between family time and "me" time. You can have them both at any of the 3 Beaches Jamaica resorts! So what are you waiting for? Grab a Beaches Jamaica family vacation today!